The US embassy in Jordan’s capital, Amman, has warned American citizens against visiting the country’s posh shopping malls after receiving “credible information” that they may be targeted by terrorists. “Extremist groups have repeatedly expressed interest in attacking so-called soft targets, such as malls and restaurants, in Jordan,” the US embassy said in a statement. 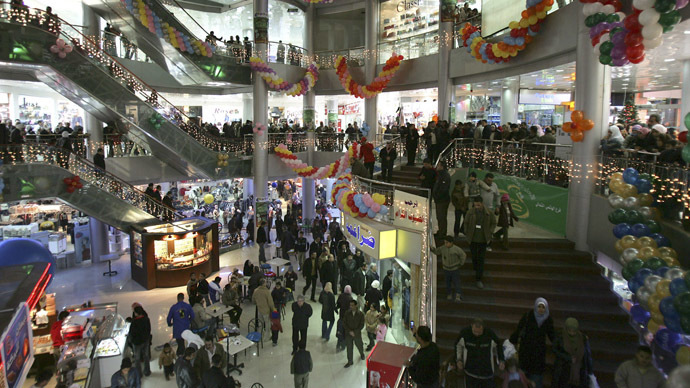 "The US Embassy has received information of a potential threat against high-end malls in Amman." Amman has recently stepped up its role in the US-led military campaign against Islamic State (also known as ISIS, or ISIL) in Syria after the jihadists burnt alive captured Jordanian pilot Mouath al-Kasaesbeh and released a video showing his grisly death. Jordan’s King Abdullah II called the killing of the pilot an act of "cowardly terror," adding that IS "had nothing in common with true Islam." The country has promised an "strong, earth-shaking and decisive" response to the killing and has executed two convicted Islamist terrorists, including the Al-Qaeda would-be suicide bomber Sajida al-Rishawi. Amman, which is among Washington’s key allies in the Middle East, has also arrested dozens of IS supporters in the country in order to prevent possible attacks on Westerners and public places. The US Embassy described the threat to the shopping centers in the country as “credible,” but added that “the possible time frame and type of threat are unknown." “US citizens should expect to see an increased security presence at such establishments throughout Jordan, and especially in Amman,” the statement said. Last week, Somali Islamist militant group Al Shabaab released a video threatening to attack malls inside the US and UK. In late 2014, an American woman was stabbed to death in the bathroom of a shopping mall in the United Arab Emirates, which are also part on the US-led effort against the Islamic State.